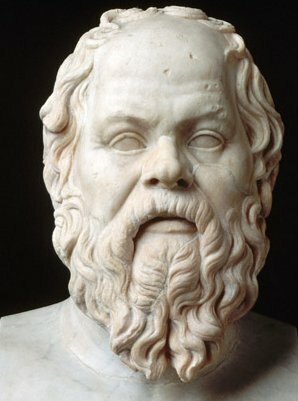 According to Plato, ancient Greek philosopher Socrates claimed only the "examined" life is worth living. By an examined life Socrates means a life of seeking truth through reflection, and fact-based reasoning, honed by logical, fallacy-free argumentation. Saying that the unexamined life is not worth living requires considerable hubris. Nevertheless, Panderbear has some limited sympathy for that point of view. Panderbear has no interest in telling others their lives are not worth living. However, by genetic and experiential happenstance Panderbear has come to acccept fact-based logical reasoning, the scientific method, and devotion to the truth as the best tools humans have for making sense of their life experience and effectively exercising their will. Panderbear has no particular quarrel with those who disagree with his philosophy, so long as they do not act in ways that prevent others, including Panderbear, from freely pursuing their own life goals. Of course the pursuit of those goals must be constrained by laws and mores lest anarchy and chaos ensue. However, if our elected officials are living unexamined lives with philosophies bereft of reverence for truth, logical reasoning, and science and are attempting to impose policies that derive from belief in political and religious dogma, the supernatural, anti-science philsophies and are intent on subjecting all of us to the inevitable failures of their ill-informed policies, then Panderbear takes issue. In pandering to those of the electorate who eschew the examined life and instead take their political philosophy from bumper stickers and personal bias and their religious philosophy from off-the-shelf religious dogma of one sect or another, Republicans have inevitably stumbled into policies that are anti-science, illogical, and fact-free. To paraphrase Socrates, the life of a political party whose policies are based on unexamined philosophy is not worth living.